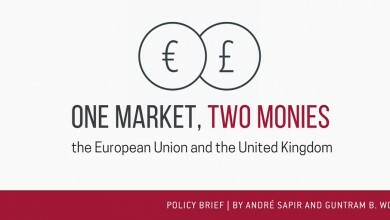 This policy brief was first published on Bruegel.org. It is widely covered in the press. Two diametrically opposed visions of the euro-area architecture have been put forward. European Commission president Jean-Claude Juncker favours a model that puts the Commission at the centre of fiscal policy decision-making. The former German finance minister Wolfgang Schäuble argues that fiscal surveillance should be centred on a reformed European Stability Mechanism. Juncker’s proposal would over-emphasise the Commission when fiscal policy making is national and would unduly mix the roles of Commission and Council. Schäuble, by contrast, neglects the fact that national fiscal policy matters for the euro area not only for sustainability reasons but also because of the provisioning of public goods, stabilisation policy and effects on inflation and growth. This Policy Brief does not discuss the completion of banking union, which is essential for a stable euro area. Fiscal policy making in the euro area will remain a difficult balancing act between national politics and European interests. Departing from both Juncker’s and Schäuble’s proposals, the Eurogroup should be developed into a Eurosystem of fiscal policy (EFP) as the centre of euro-area fiscal governance. The Eurogroup should have a permanent, full-time president, with a mandate to represent the interests of the whole euro area, and who will report regularly to the European Parliament. The Commission would make fiscal policy recommendations to member states; fiscal rules would be reformed. Political, and in some cases market, pressure would increase on countries that fail to comply with recommendations. Ultimate responsibility for debt will remain national. The European Stability Mechanism should become a permanent fire brigade to manage sovereign debt crises, including possible restructurings in extreme cases. Finally, the EU budget should be reformed to focus on European public goods and on a stabilisation function.